Hey Gang! We're in the home stretch! It's time for Challenge #6! For today's challenge we're going to tackle organizing our videos into relevant and eye-catching playlists. 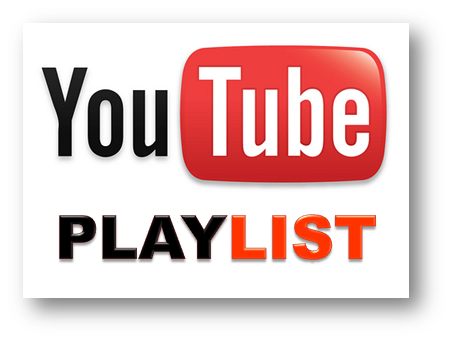 Playlists can showcase your channel’s personality and ultimately, your creativity. Great playlists can increase watch time and create another asset that will appear in search results, and in suggested videos. The reason for using playlists is because viewers like to watch more of a good thing. Playlists allow viewers to program what they watch next on the channel as well as allowing the viewer to watch a continuous set of videos without having to return to the channel in between. So this is another two part challenge: First, create your playlists and add as many related videos as you can to each one. Then, organize your channel sections to showcase each of your playlists. I think the max amount of sections may be nine or ten. If you have already done this, then your challenge is to look over your channel in "view as a new visitor" mode and make sure that all of your playlists reflect your current content and that your playlists are in the order that your happy with. If you need help with organizing your channel sections, click here for step by step instructions.